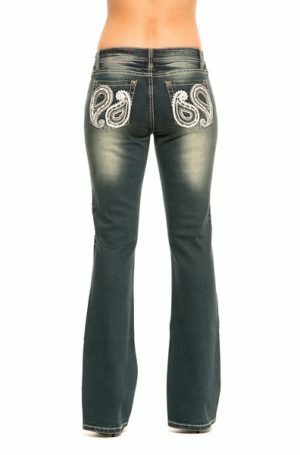 Dark wash bootcut jeans with black sequins, leather and crystals on back and front pockets. Also featuring black crystals around hem. Flattering fit and colour. 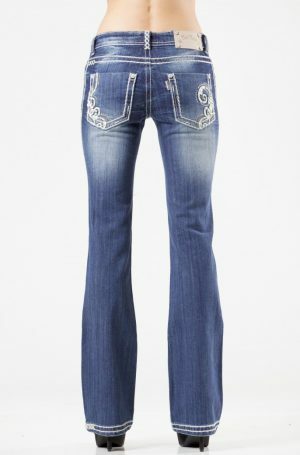 Sizes are in Australian sizes, so please select your regular jeans which matches the measurements below.